Time moves swiftly and transportation has always been in the hearts and on the minds of the people of Chicago, “The City of Broad Shoulders”. Arguably, it can be tracked back to the early foundations of the city which started with the construction of the Illinois and Michigan Canal connecting The Great Lakes to The Mighty Mississippi River and south to The Gulf of Mexico in 1836. Chicago also served as a catalyst for the railroads that were added in the 1850’s. In the 1960’s the “new” O’Hare international airport completed Chicago’s existing role as a transportation hub of America. It was only a matter of time before Chicago also became a digital communications hub as well, welcoming its first Internet Exchange, a hub where networks meet and exchange IP (Internet Protocol) traffic. For a short time, Chicago, the third largest city in the United States of America was without a strong competitive “second” Internet Exchange. That all changed with the launch of AMS-IX Chicago, in 2014. Building an Internet Exchange happens peer by peer. Parties have steadily connected to AMS-IX Chicago from the beginning. In July 2016, AMS-IX Chicago showed traffic levels of 10 Gigabits per second at its height. Since the connection of major parties like Amazon in September 2016, and Google in March 2017, the traffic exchanged at AMS-IX Chicago has increased significantly, regularly reaching new peaks. Nowadays (December 2017), AMS-IX Chicago can boast traffic levels of more than 70 Gigabits per second at its peak. The presence of important content parties makes AMS-IX Chicago very attractive for eyeball networks. In the coming year, we will focus on getting new eyeball networks connected. AMS-IX Chicago wants to champion the open and neutral European Internet Exchange model. 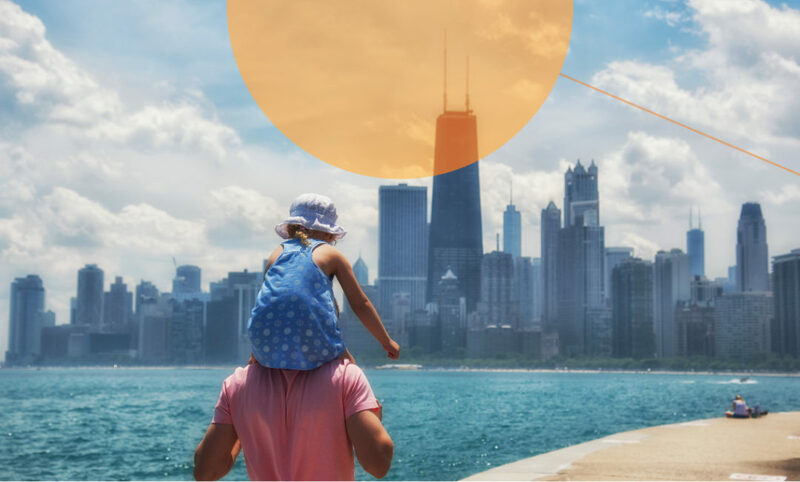 By expanding our strategic footprint with PoP’s (Point-of-Presence) at CoreSite (427 LaSalle) and DuPont Fabros (near O’Hare airport) on top of our 350 Cermak hub, we made it easier for networks to join our peering platform. In addition, we have diversified the opportunities for customers to connect and we will continue to do so, through partnerships with parties like Megaport and PacketFabric.